I must admit I don’t like Brussel sprouts that much. 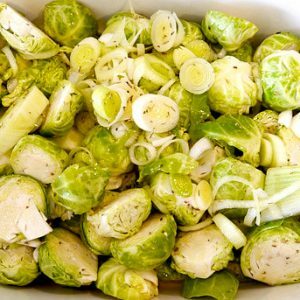 Every year I create a new brussel sprout recipe hoping that one day I will start to like the little green cabbages. Well, this is the first year I finally came up with a recipe that I love! Yes, it took me only how many years? Too many! In this recipe, I added apples, walnuts, cranberries, nutmeg, fresh lemon juice and sweetened them with maple syrup. Wow, they are amazing! When I was testing the recipe, I could not stop eating the little cabbages. 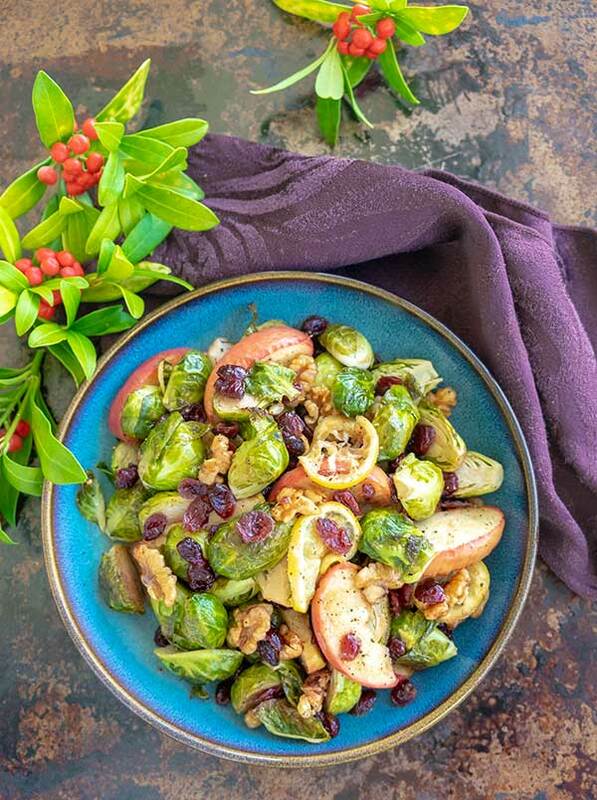 In this recipe, the Brussel sprouts are lightly caramelized, and by adding cranberries and apples, I added slight tart flavour. Finishing with walnuts, adding texture and earthy flavour. 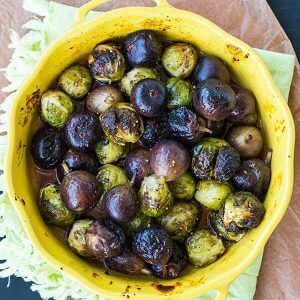 If you are like me and aren’t crazy about Brussel sprouts, you should try this recipe, who knows you may change your mind as I did. If nothing else, eat just the apples, walnuts and cranberries and leave the tiny cabbages for others to enjoy!